Ashtanga yoga stirs the internal fire. It ignites the dormant flame of vital life energy within all of us. As the internal heat goes up the toxins begin to exit out of the body, and the body begins to bend and move. Pattabhi Jois about this phenomenon said â€œeven iron will bend with heat.â€ Freedom of movement opens up parts of the body that had been previously restricted or blocked. There is a release, a feeling of lightness. It is in these places that we can discover what yoga truly is. Yoga is a method of bringing life and vitality back into those areas, awareness of the deeper, inner parts of ourselves. It is a reunion with that innate wisdom that we all have, but seem to have lost touch with. Yoga was developed as a means of acknowledging or returning to the source of life. Ashtanga is a more physically intense form of yoga than most, which is one of the reasons for its’ immense popularity. This can make it more challenging to learn however. 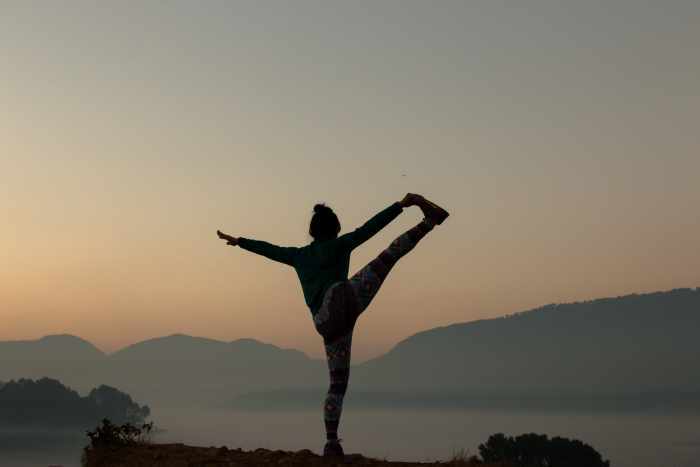 There are two main ways it is taught – a more traditional approach pioneered by Pattabhi Jois in India, and an adapted form of the primary series developed by teachers here. One of the questions many beginners may have, is do they actually need a class to learn this style anyway? An associated question is what makes it so different? By addressing these issues, it is much easier to learn ashtanga in a way that promotes true benefits, as well as avoiding some of the frustrations that beginners may face. Pattabhi Jois was a lifelong student of Krishnamacharya, one of the most well known Indian yoga teachers this century. Krishnamacharya may have developed the system of ashtanga, but it was Jois who adopted it as his own. Through Jois’ patronage, ashtanga became popular in India and the West. When students traveled to Jois’ school in Mysore, India, they were taught as much as they could do of the Primary Series at a time. The Primary Series is the first series of asanas. There are later, more advanced series, but everyone starts with this one. However, because of its’ dynamic and athletic nature, the Primary Series is generally too much for a beginner to learn in one session. So, Jois would teach one, or a few, poses, and once a student had mastered those, he would give them another. Thus, new asanas were gradually introduced, until the whole series was completed. This was a somewhat slow way to learn ashtanga, and perhaps influenced by the way other styles of yoga are taught, many Western teachers taught beginners a different way. They maintained the essence of the series, but left out some of the more challenging poses until later, and included adaptations of some poses so beginners could do them. Thus, they were able to give beginners both standing and floor postures in one abridged session, all linked by the characteristic vinyasa flow. In many ways, this approach is actually more true to the way Jois’ teacher, Krishnamacharya, taught. Krishnamacharya had a great belief in the principle that yoga was not a ‘one size fits all’ proposition. He tailored it to people’s individual needs and circumstances. Indeed, the reason he created the ashtanga practice to start with was because it was intended for adolescent boys for whom the more introspective hatha yoga practice would be unsuitable due to their energy and teenage distractibility. Though ashtanga is different to hatha in a number of ways, it would be a mistake to think that it did not develop introspection. The asanas may not be held for as long, but they still require practice and focus. The acrobatic nature of some of ashtanga actually requires a certain degree of coordination, focus and strength. Though beginners may find these aspects challenging initially, if the practice is modified in the way many local teachers do, then these qualities can be developed gradually. In this way, all the benefits can be enjoyed as we learn ashtanga yoga. Finding a teacher is highly recommended. It is very difficult to describe the way the vinyasa sequence is done, even more so when explaining the use of the bandhas (also called a ‘root lock’). Even with the visual aid of a DVD, nothing can quite replace the way a beginners class or workshop provides the opportunity for feedback and corrections with postures. For those more experienced students however, DVD’s are perfect. Ashtanga is an energetic sequence that provides many of the benefits of a traditional fitness program. By approaching it in a way that takes into account any personal injuries, and initial limitations with strength, it is possible to learn ashtanga and enjoy every minute of it. If you’d like more information on general aspects of ashtanga including the asanas, click here. For other types of yoga and related articles, click here. 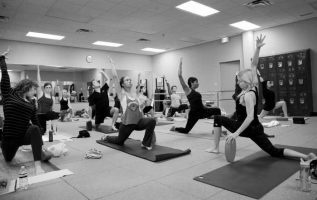 Why Ashtanga Yoga May Be Right For You?